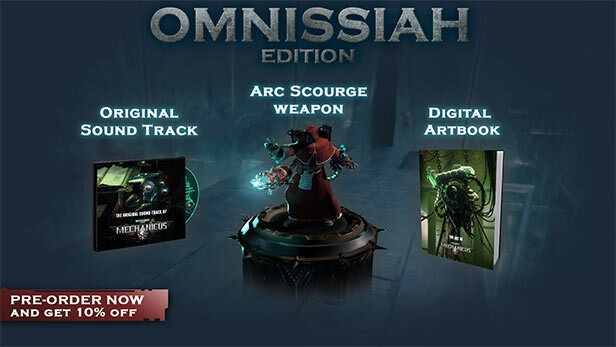 Warhammer 40,000: Mechanicus - Omnissiah Edition - Buy and download the game here! The atmospheric soundtrack featuring the highly acclaimed music of Mechanicus. The stunning digital artbook containing an array of new and previously unseen concept illustrations and art from the development of the game.